Heaton Rise is situated on the prestigious Gower Road, set behind attractive gates and enjoying an elevated position with impressive sea views and an excellent degree of privacy. The driveway which is heated and illuminated meanders up to the house with further gates leading to the rear garden with patio and heated swimming pool, BBQ area and decked terrace. Additional gates lead to a detached garage and workshop with generous lawned area and vegetable garden. There is ample parking, with sun terrace and generous garden with seating areas to the front where the lovely sea views can be enjoyed. The house itself is spacious and immaculately kept, offering versatile accommodation and impressive sea views. 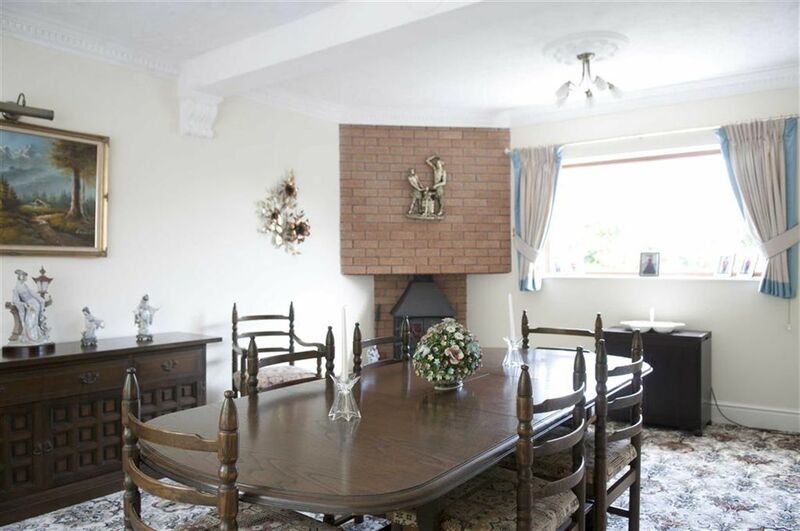 Briefly comprising: Entrance hall with high ceilings and attractive coving and plate rack. There is partial underfloor heating and under the carpet wood block flooring. There is a large window over the staircase to the first floor which allows in plenty of natural light and double doors into the formal lounge. This lovely room has the pleasure of generous bay window which overlooks the gardens, there is a fireplace with marble surround and ornate coving with ceiling rose. The living room is a lovely room and it is clearly the hub of the home, with large patio doors leading onto the sun terrace, connecting the home and gardens perfectly. With the pleasure of garden and sea views which add to its appeal. 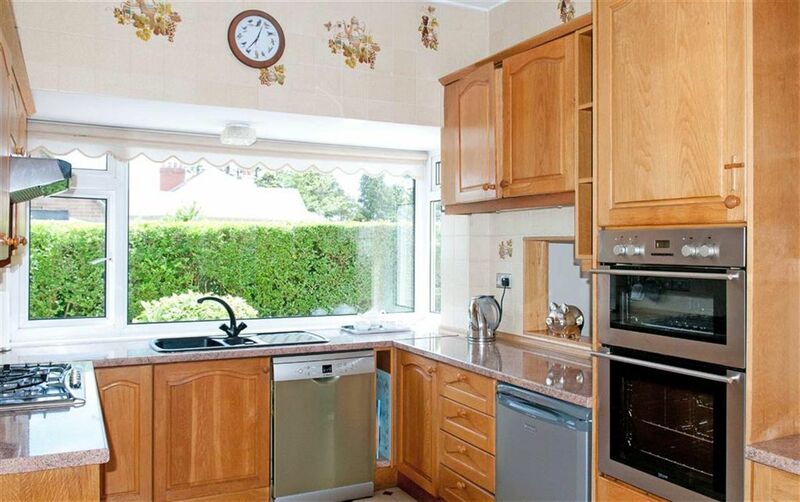 The kitchen/breakfast room is fitted with traditional wall, base and display units, Neff hob and extractor fan with integrated oven, grill and dishwasher. There is a door to an inner hallway which leads to the dining room and utility room. The dining room is very spacious with plenty of room for a large banquet style dining room. With feature corner log burner which offers a cosy glow. There is also a spacious W.C. to the ground floor. To the first floor the landing gives access to the four double bedrooms and family bathroom, there is also an airing cupboard and generous walk in room offering plenty of space for additional storage. Three of the four bedrooms have the pleasure of very impressive sea views with the master bedroom benefiting from fitted wardrobes and en-suite shower room. The property sits on a very generous plot and due to the elevation it enjoys an excellent degree of privacy. The generous gardens are split into sections with south facing formal gardens to the front with an array of colourful shrubs and hedge borders, the is a pergola and seating area which enjoys a shady spot at the bottom of the garden as well as a sun terrace with covered canopy situated to enjoy the sea views. To the rear of the house there is a solar powered heated swimming pool with a paved terrace offering ample room for garden lounging and dining furniture. There is a covered decked area and brick built BBQ. There is also an outside W.C. With both pedestrian and vehicular access to a further enclosed garden with detached garage and spacious workshop. There is a generous and level garden along with a segregated area dedicated to fruit and vegetables.